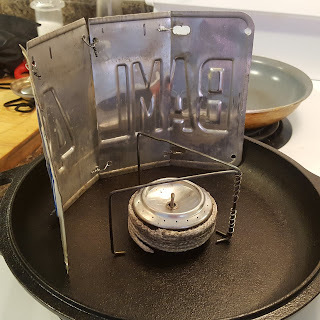 I've been collecting a few stoves here and there, as well as making a couple of my own. 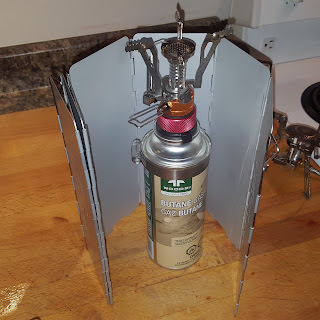 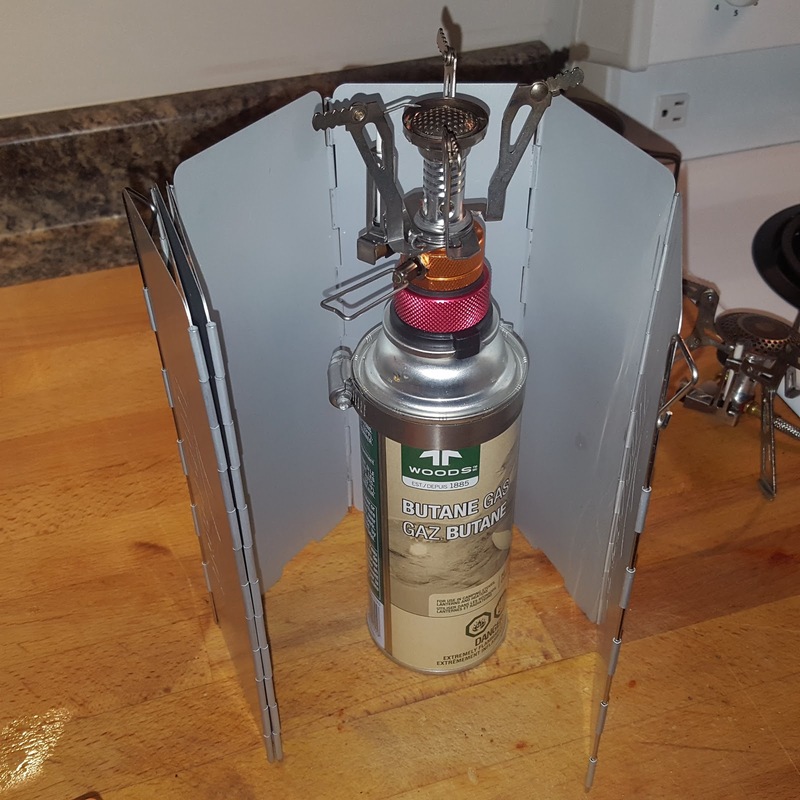 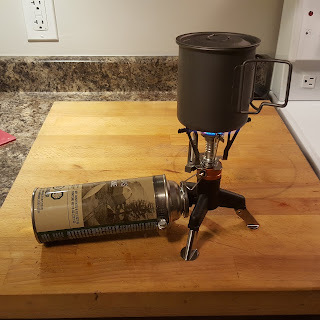 I got bored and made this stove out of a pair of beer cans, with fibreglass used as wicking material. 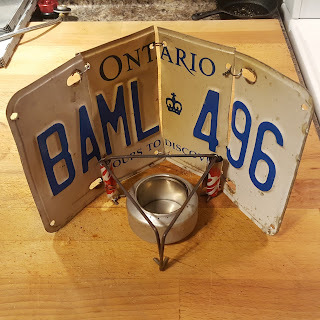 The pot stand is made out of coat hanger wire, and the windscreen is a recycled aluminum license plate. 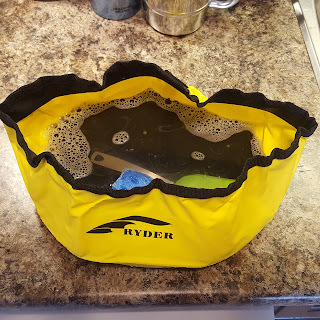 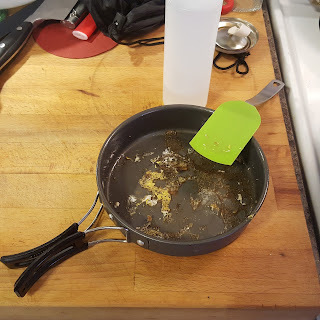 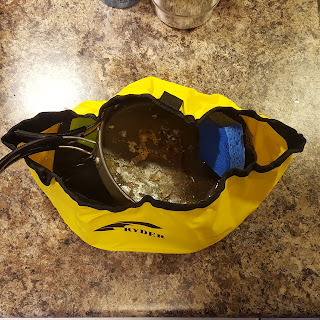 Here it is in use, and it is surprisingly effective at boiling water. 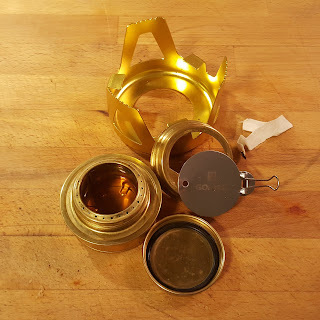 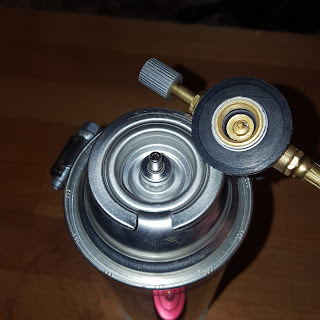 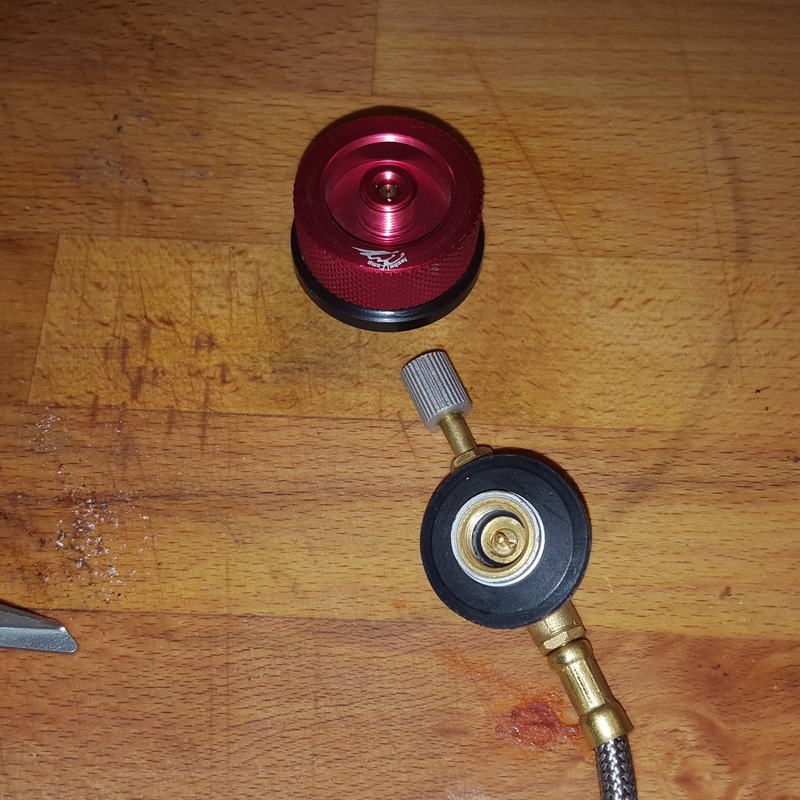 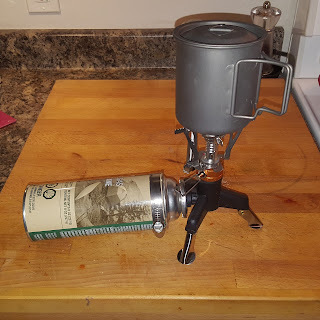 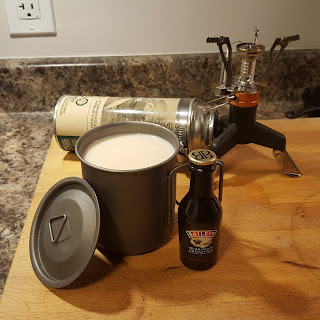 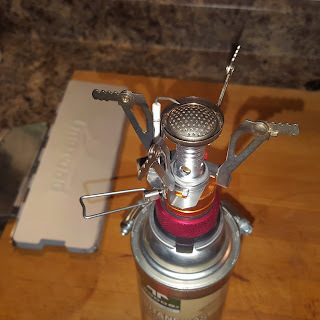 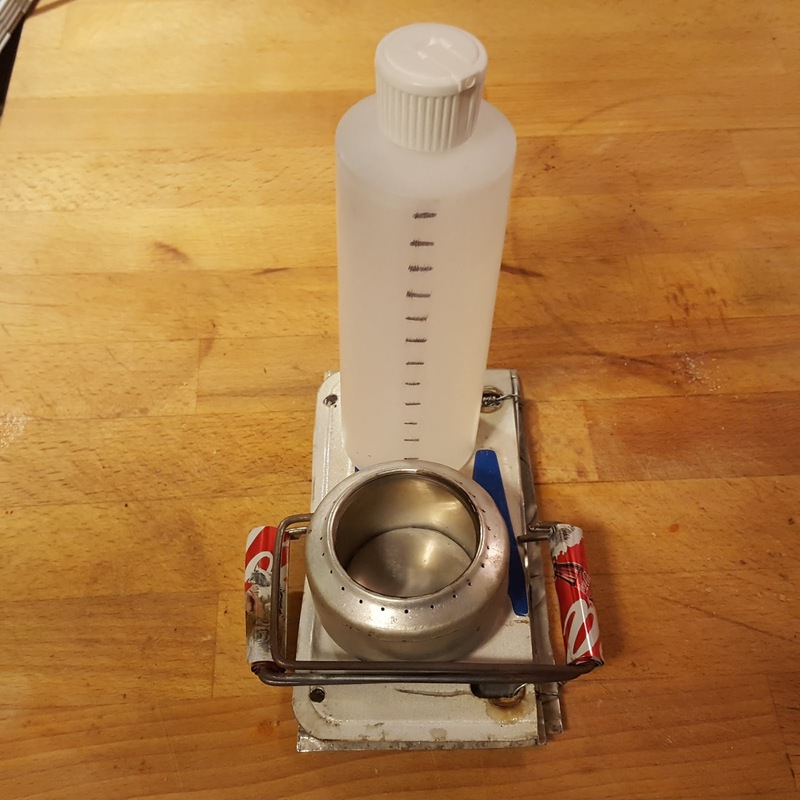 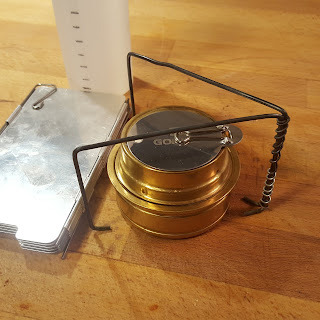 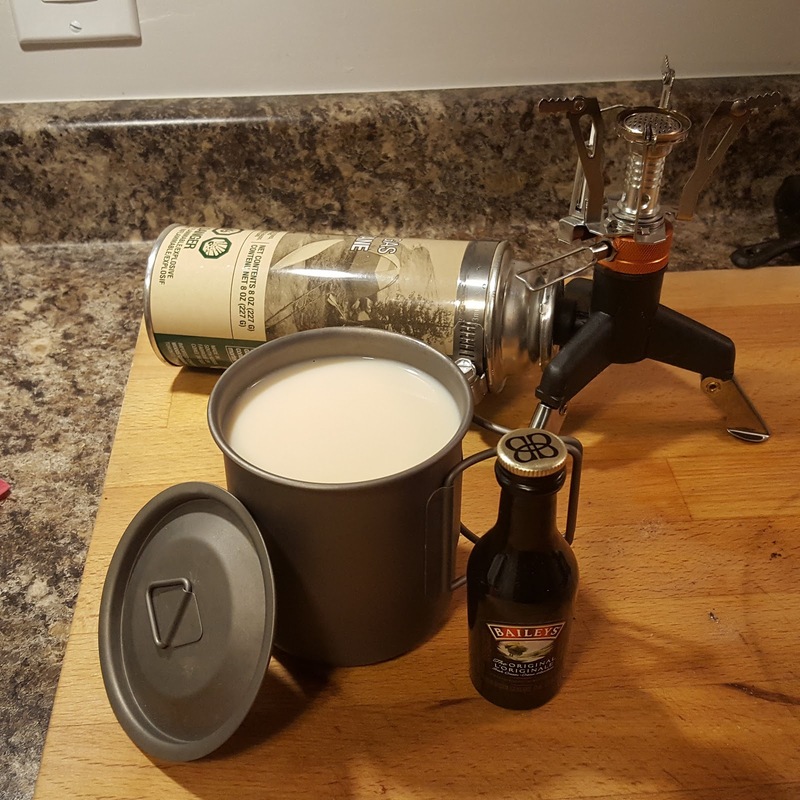 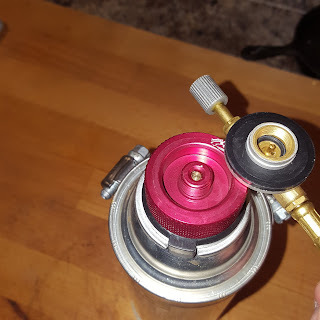 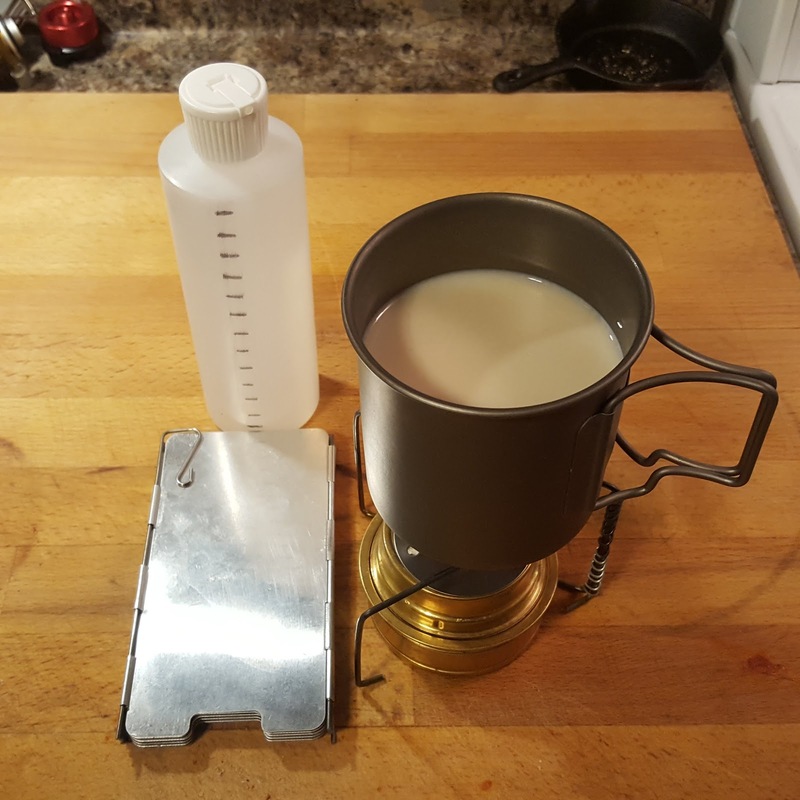 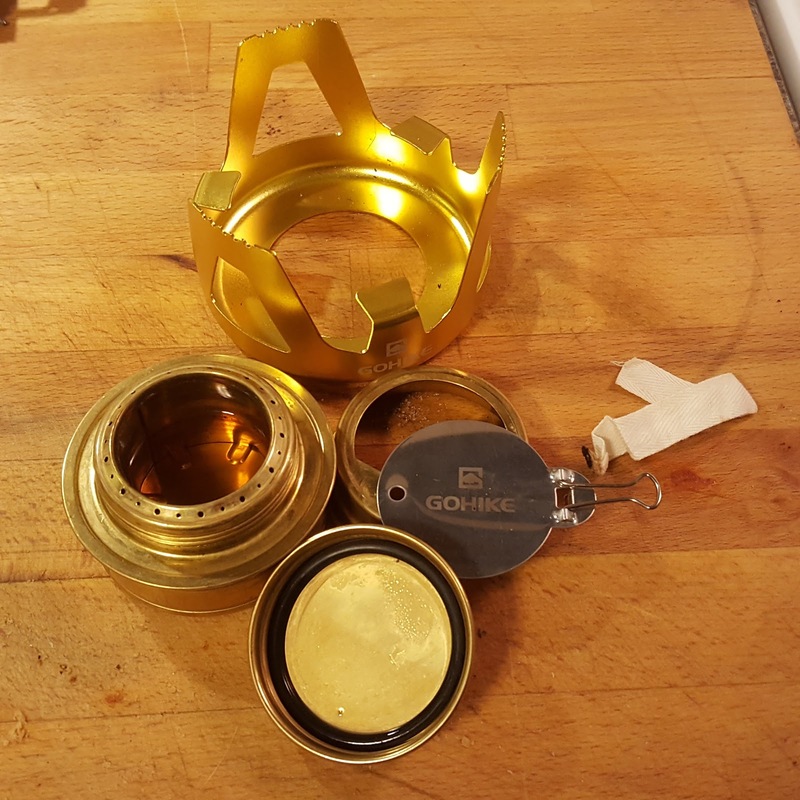 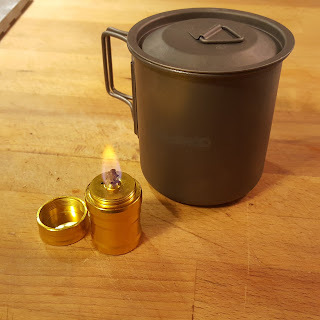 This is a penny can stove variant that I purchased on eBay, the creator used a threaded pop rivet as opposed to the classic penny, but the principle is the same. 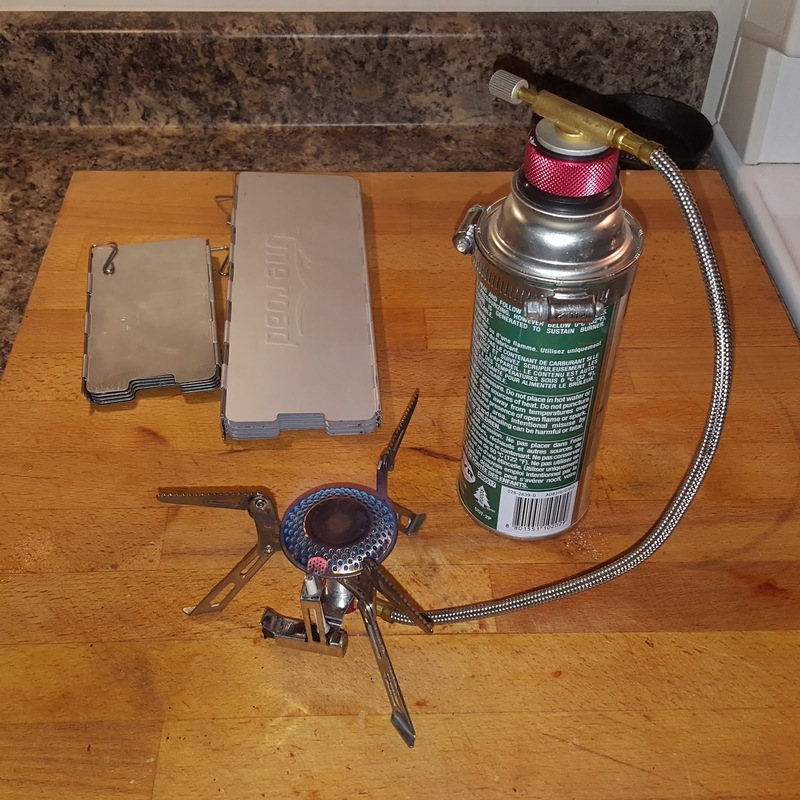 There is fibreglass rope around the outside, as this stove needs to be preheated by soaking the outside with alcohol then setting it aflame. 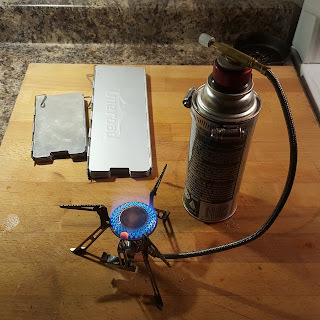 It is very efficient and burns for about twenty minutes, but there is only one heat output, full "Boil and Burn". 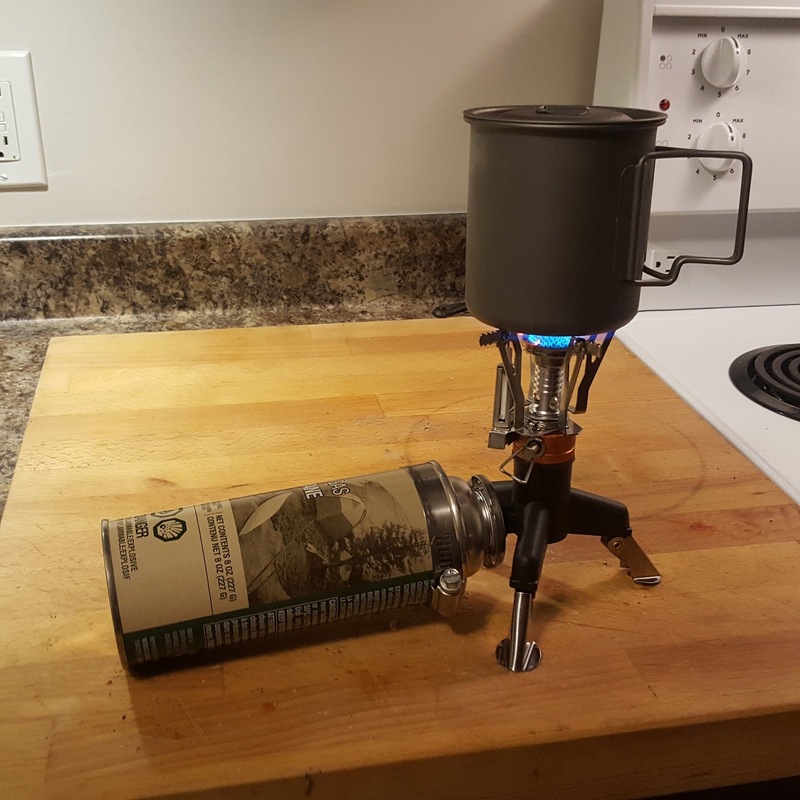 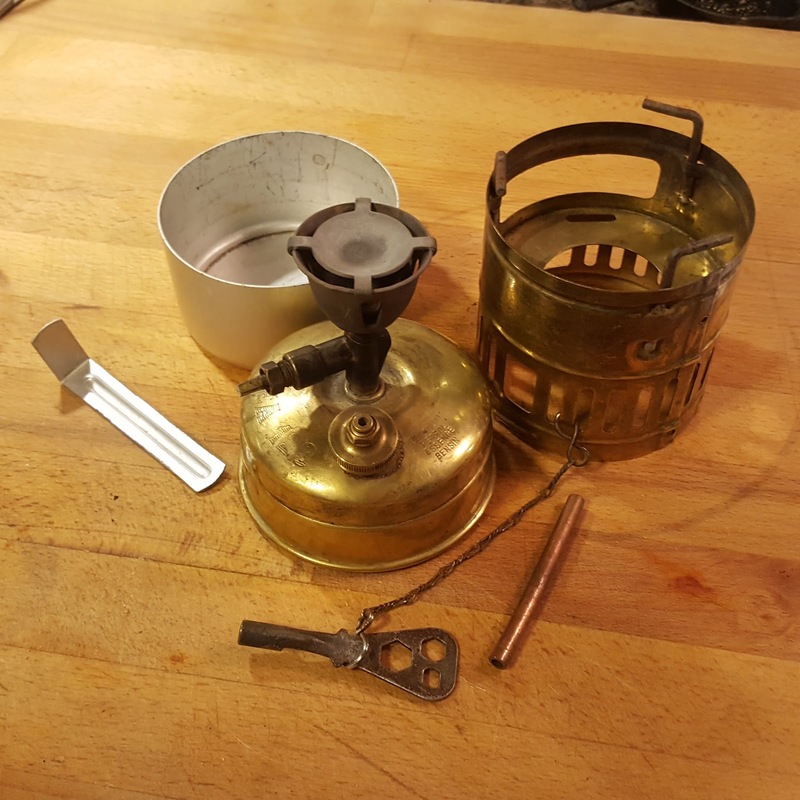 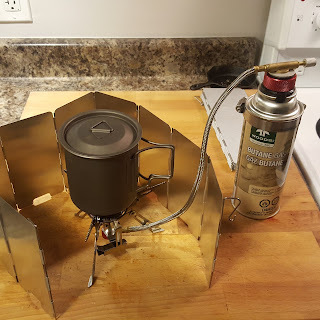 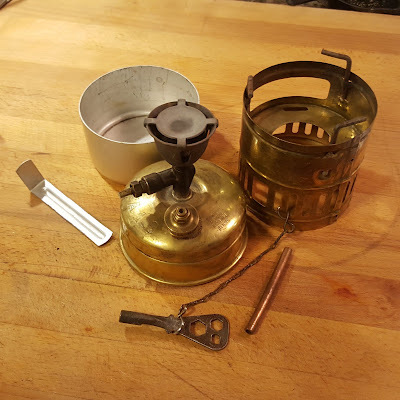 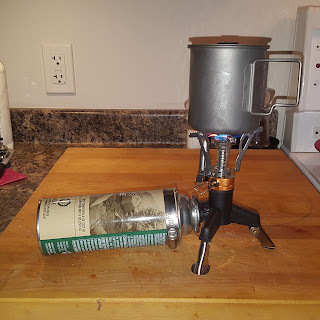 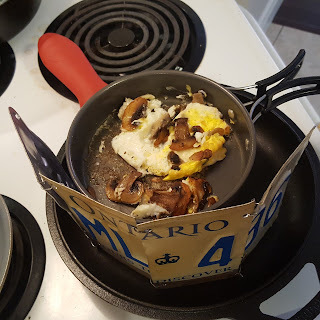 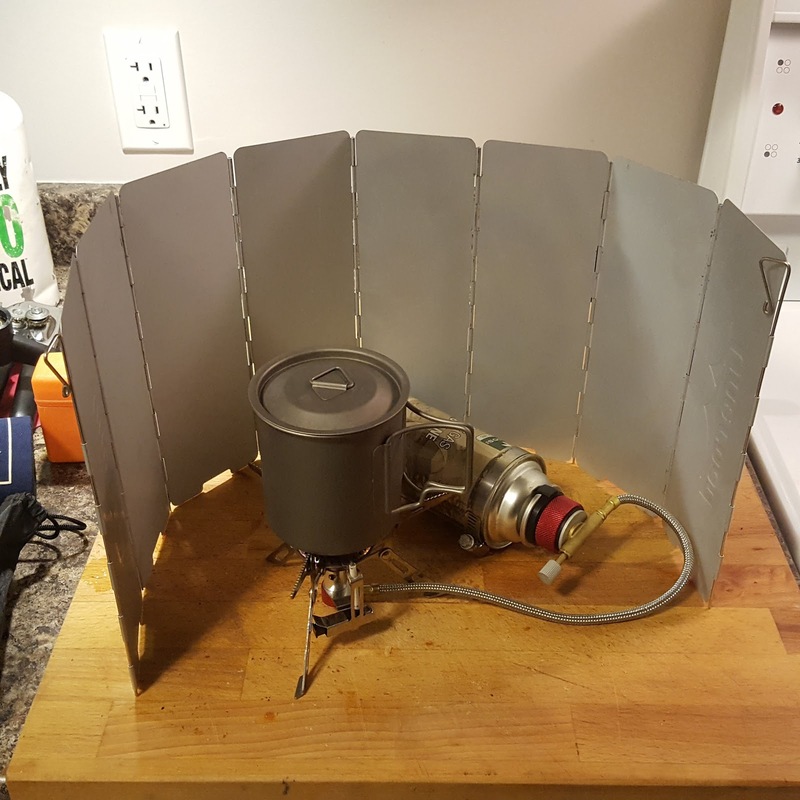 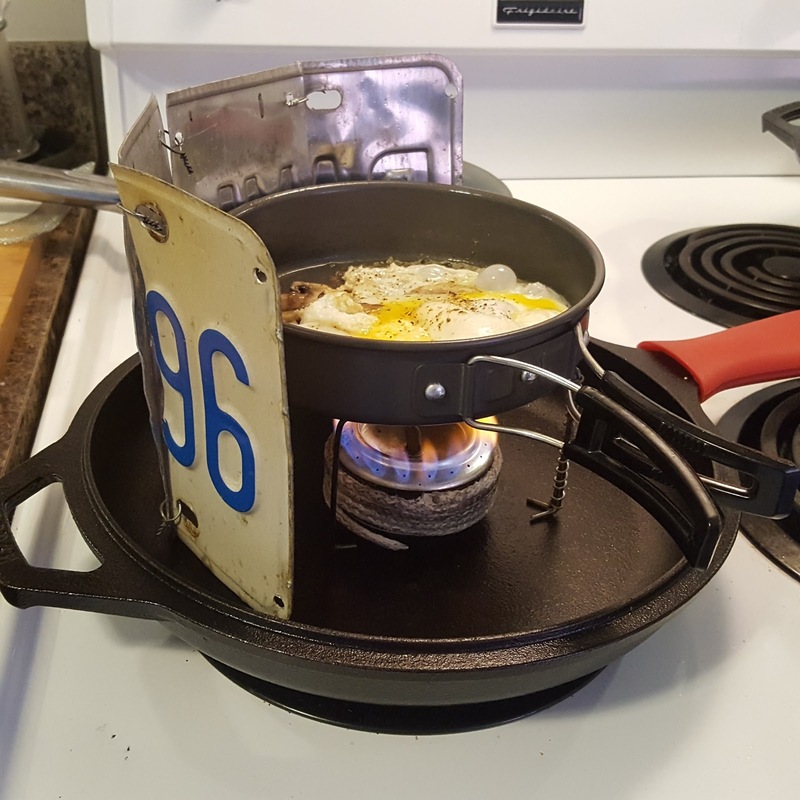 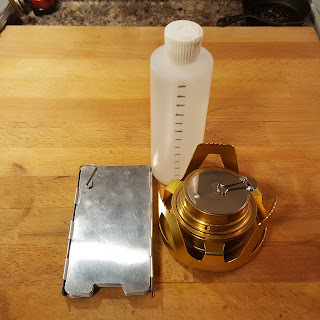 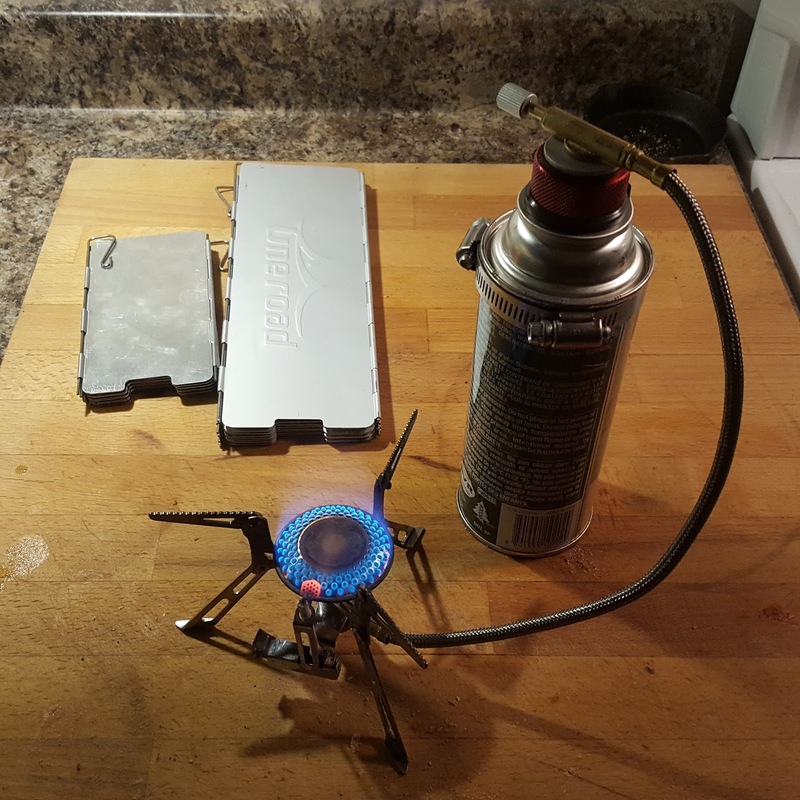 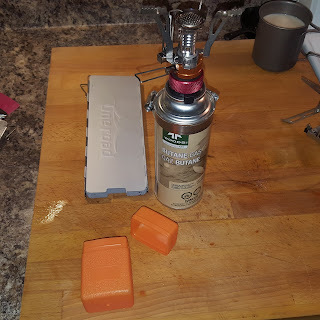 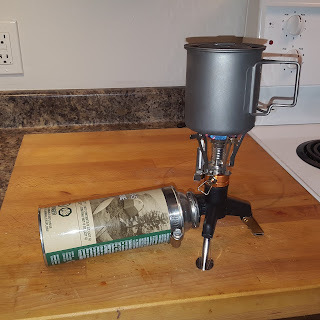 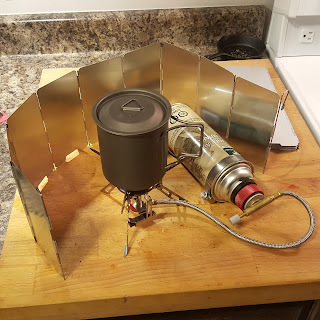 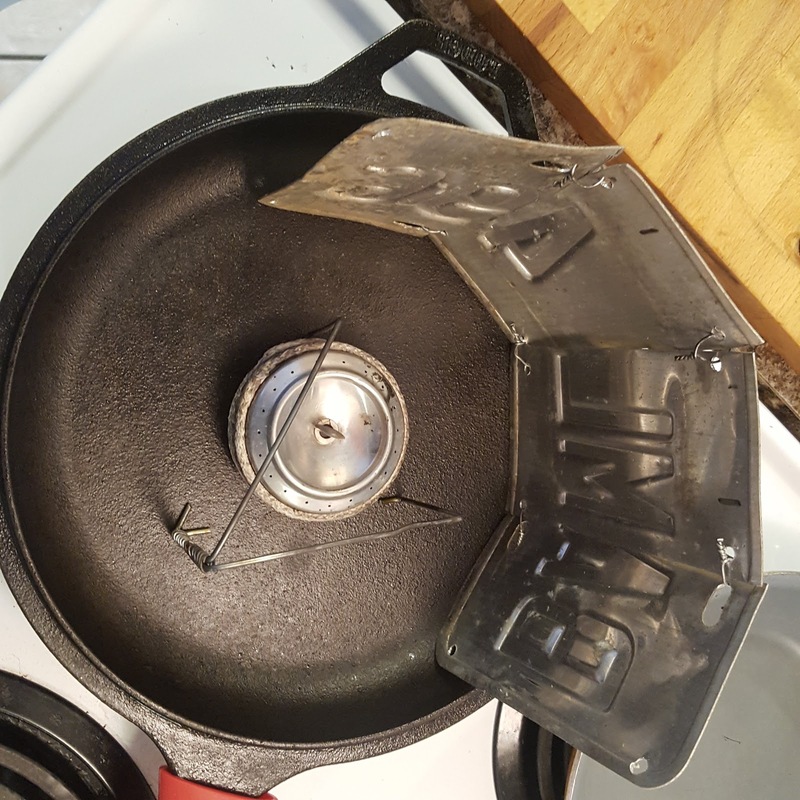 My latest acquisition is a wee "China Stove" that looked very well built with few moving parts, and at about $9 shipped from AliExpress I went ahead and bought one as I really enjoyed the simplicity of cooking over butane gas last year when I toured from to Ontario and back out to Prince Edward Island. (I just bought another so I'll have two of these in a month or two). 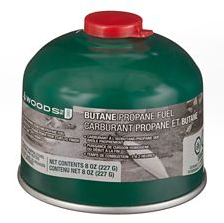 This gas mix is formulated with butane but liquid propane gas LPG is blended in to give it slightly better cold weather performance. 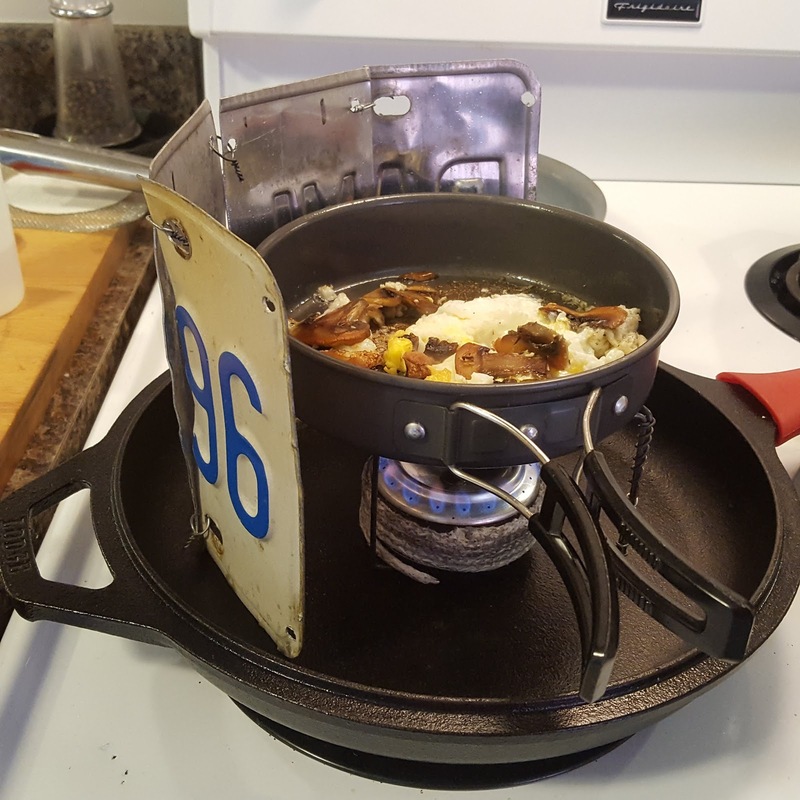 Comes complete with pot stand for $7 Cdn! 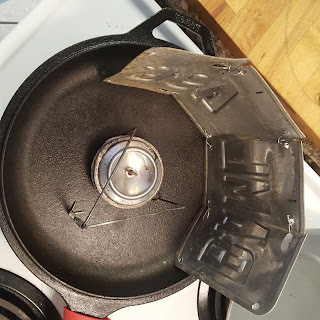 This stove does NOT have a threaded cap with a rubber O-ring nor does it come with a simmer ring, so it is "Boil and Burn" only as you see it here. 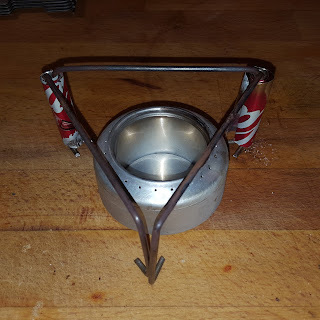 It's made of stainless steel and included the pot stand, so as the price was so low, $7 each, I bought two of them, one each for Caroline and I. I thought they would fit well into our new titanium 750ml mugs, and be used for brewing up tea or wash water.